Until my daughter tasted it and thanked me for the brownies I did not realize that I was making stove top brownies all these years. My intention was to blog a recipe that was very special to me. It made me look at the whole thing with an open mind and rethink the title of this post. This recipe is special because when I was in high school my 80 year old grandma whom we called Manni lived with us. After her afternoon naps she would tell me that she feels like having something sweet. I would tell her to wait for 5 minutes and make her this sweet. The only ingredient that I changed in this recipe is vanilla instead of cardamom. For all those who need a quick chocolate fix while watching a late night movie, I am sure this would be perfect. 1. Add butter to a heavy bottom vessel and allow to melt. 2. Add the wheat flour to the melted butter. Roast until the raw four smell goes away. 3.Add the yogurt to the pan and mix well. A soft dough will form in the pan. 4. Add sugar ( white or brown) and mix well until it blends. 5. Add chocolate mix to it along with vanilla essence and mix well. 6. Transfer into a tray lines with foil and sprinkle with some nuts. Allow to cool and cut into 2 pieces and enjoy. super quick n easy recipe..looks moist too!! Thank you for letting me know that I missed mentioning the yogurt quantity. I have updated it now. Such an awesome idea, looks superb..
this is simply awesome!...love it!the pics are beautiful. Cool recipe. Looks so good. And just 8 minutes? will try this out for my lil one. this award is waiting 4 u in my space..accept it...here is the link. 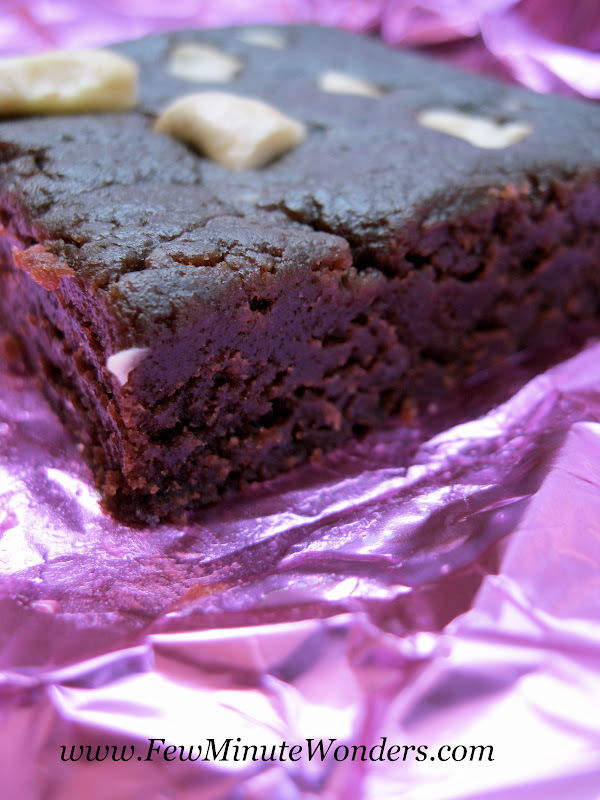 Delicious brownies that too in few minutes. super quick n yummy recipe.. Tried for a quick after school snack for my son, it was quick and easy one. Nice recipe. I just added some semi sweet grated chocolate as well.